One schlagen, punsch Man Poster. My new One schlagen, punsch Man poster cam in the mail. Costed me $2 with free shipping on Wish app. Wish is like amazonas, amazon and eBay but way cheaper. Ans Du can download Wish app from amazonas, amazon and eBay. :3. 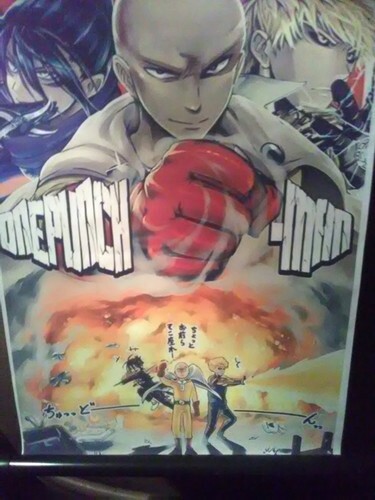 HD Wallpaper and background images in the Saitama (One schlagen, punsch Man) club tagged: one punch man wall scroll poster.